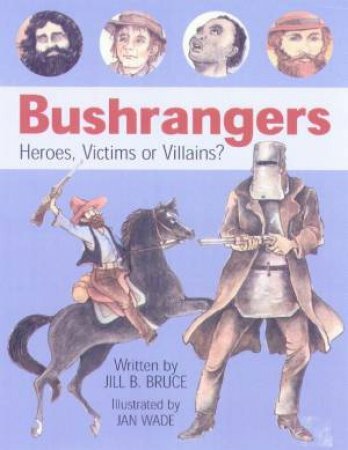 Bushrangers: Heroes, Victims Or Villains? "Bail Up! Hand over your valuables!" If you travelled on the roads in early Australia, bushrangers probably would have held you up. Homes, banks, Cobb and Co coaches, gold and hotels were all robbed. The first bushrangers were desperate escaped convicts. After gold was discovered, many ordinary men turned to bushranging to make quick money. Most were violent lawless men who would shoot to kill if threatened. Others were the sons of poor settlers who turned to bushranging to survive in a harsh land. Read their stories and decide for yourself if they were victims, villains or heroes!